Keywords are an essential part of any SEO strategy, but they go beyond simple words. When researching keywords, you’ll always see those keywords with one or two words that have huge traffic numbers, and you’ll be tempted to target them for a slice of that volume. There’s just one problem: the competition for those keywords is too high. You might as well be jumping into a pool full of sharks. Instead of targeting the simple keywords with huge volume, you should be targeting long-tail keywords that narrow down your focus and put your content in front of the right people. Today we’ll take a look at the importance of long-tail keywords, and then I’ll show you some great tools for finding them so you can start writing content that reaches more people in a focused audience. 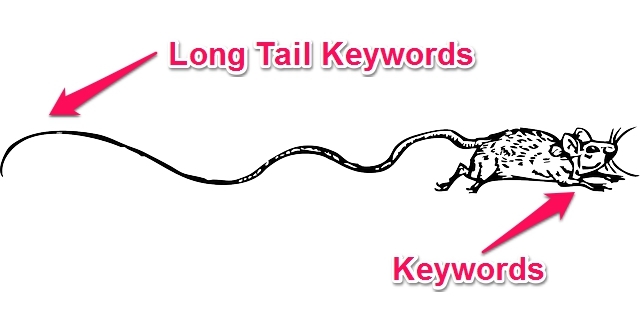 Long Tail Keywords: What’s the Big Deal? Long tail keywords are specific keyword phrases that are three to four words in length. They define a very specific subject, product, or service. These phrases a hugely important because they are used by customers who are ready to buy. They have a very specific idea in mind for what they want, and they are using these phrases to find a place that sells what they are looking for. Let’s say you have a food blog that shows people how to make gluten-free dessert recipes at home. 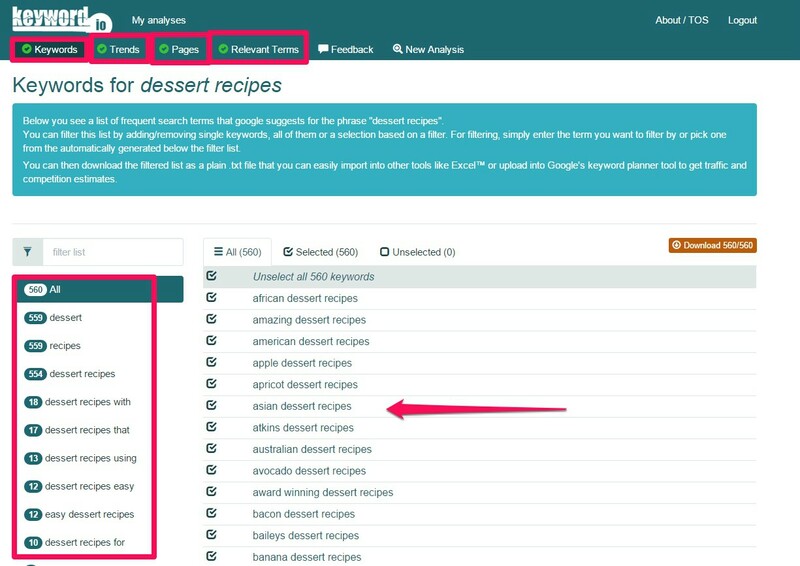 You could try and shoot for a keyword like “dessert” or “recipes”, but what you’ll find is that these keywords could have high volume, and high competition right along with them. Even if you did manage to rank for these one word keywords, you may find that your bounce rate is through the roof because people land on your site and say “gluten-free, I don’t want that!” You’ll be targeting a broad audience instead of a focused one. One of the big things you need to know before starting a blog, is how to find the right long tail keywords. Using short keywords and small phrases can offer you a small piece of the entire internet. Targeting long tail keywords can give you a significant stake in a specific niche, and more profits as a result. Once you’ve found one phrase, you can vary the wording and insert other relevant topics into it. Instead of “gluten-free dessert recipes” you could also do “gluten-free thanksgiving recipes.” Each phrase ranks for a targeted audience. Now that you know why they’re important, it’s time to learn how you can find them. Seeking out long tail keywords is something any SEO team with any level of budget can do. In most cases, it’s totally free! Creating pages that target these specific keyword phrases will grow your business much fast than reaching for rankings on short, high competitive keywords. Here are three tools that can help you find long tail keywords, and catch a glimpse of the ones your competitors are ranking for. This will help you see which keywords you’re already ranking for. This page looks the same for your competitors so you can see what’s working for them. Bonus points if you’re already using long-tail phrases. Notice the “personal blog post ideas” keyword. The website ranks #1 for this result. Sure, it has a lower search volume, but that #1 ranking is going to bring targeted traffic to the site. If you want something, odds are you’ll go to Google for the answer, so why not do that with your keyword research? The Google Keyword Planner is a phenomenal (and free) tool that you can use to find tons of long tail keywords for your next post. You’ll notice that if you decide to run a PPC campaign with keyword phrases like these, they tend to cost a lot less per click than the higher volume (and more competitive) options. If you’re looking for even more results, another free tool you can use is Keyword io. What I love about this tool is how diverse it is in providing results. Just searching “dessert recipes” gives me over 560 keywords, divided into various long-tail categories. That alone is huge! On top of that, I can download the full list to use at my leisure. I can also view trends, top ranking pages for that keyword, and relevant terms that are similar in nature. All of this information is a gold mine for SEO professionals looking for not only long tails, but also their synonyms and close variants. Making an account here is totally free and allows you access all of these features. Keep this tool handy in your blogger’s toolbox. I come back to this tool again and again to find all the resources I need for my long-tail keywords. Trying to muscle your way into the world of SEO by targeting simple and short keywords isn’t worth the time or the trouble. Instead, bring targeted traffic to your site by seeking out specific and detailed long tail keyword phrases. Targeting these phrases is the secret to higher rankings, conversions, and results. How do you find and utilize long tail keywords on your website or blog? Share your own tips in the comments below! Get A Free Domain With Any Hosting Plan By Entering Your Email Below! What is Cloud Hosting (and Do You Really Need It)?